The main goal of any brand on Facebook is to eventually bring in revenue. Without that revenue (barring very few exceptions), you’re wasting your time. 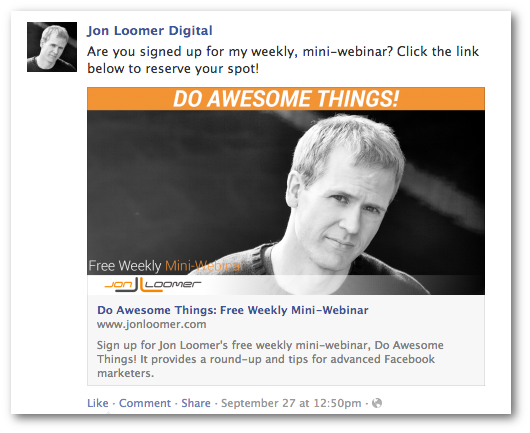 I’ve written before about how I got a 35X ROI during a month of Facebook ads. 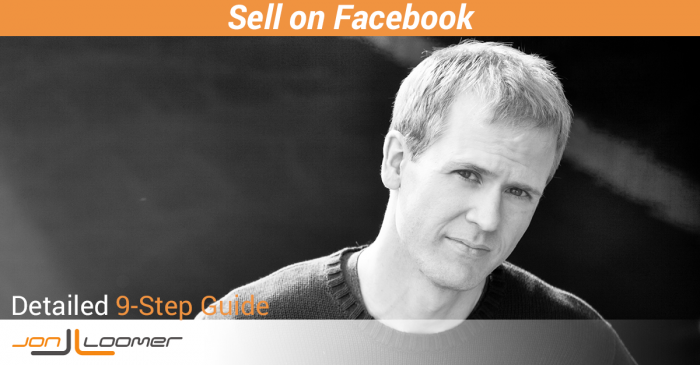 I also wrote about how you can create a Facebook sales funnel. But today, I want to focus on the specific steps involved in creating Facebook ad campaigns that lead to sales. Look, I get it. You’re tired of the scammers. All of the promises. All of the shortcuts that don’t work. I’m tired of seeing that garbage, too. This isn’t a get-rich-quick scheme. It takes work. But you actually can make money on Facebook. It takes a relevant audience, the proper tools and a strategic process. The first thing you’ll want to do is create an organic Facebook post that announces your product to your Fans. But you must do this with advertising in mind. 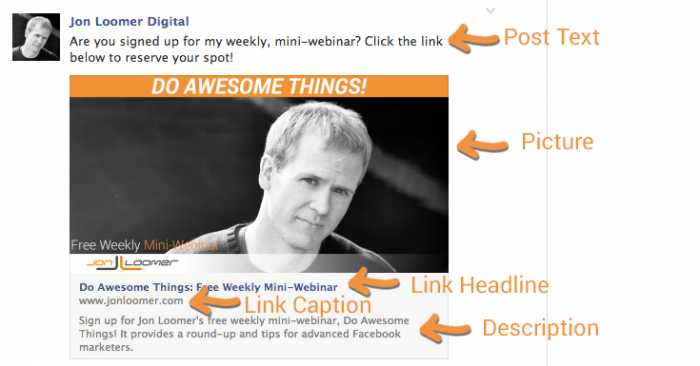 * I’ve found that link shares, particularly with the bigger thumbnails, are most effective at driving traffic. There are some exceptions, but you should test this. These steps are extremely important. The right dimensions will assure that the thumbnail image will stretch across the width of the News Feed on desktop and mobile. A quick call to action is important since text is truncated after 90 characters on a mobile device. If you’re really savvy, you can also combine these efforts with Google Analytics and use URL parameters to track the success of this organic post in driving conversions. Next up, you want to start preparing to advertise this and other posts that will hopefully lead to offsite conversions. A big help here is Facebook Conversion Tracking. You’ll need to set up a Conversion Pixel for this to work. That pixel will go on the “Success” page of your website, alerting Facebook that a conversion is complete. To get your Conversion Pixel, click on “Conversion Tracking” on the left side of Power Editor. Then click the green “Create Conversion Pixel” button on the right. For more information on how to set up Conversion Tracking, go here. Wait. Don’t use that Boost button! You’ll do this in Power Editor. You’d do something similar for the names of each of the ads you’re going to create. Make sure that any variations are clear within the name. Then select the post you want to promote. We’re going to start off by using all placements — desktop News Feed, mobile News Feed and sidebar. We’ll let the results tell us what works best. Since you set up a Conversion Pixel, check “Track conversions on my website for this ad” and select the pixel that you’re using. You don’t want to rely too heavily on one ad. The imagery or copy may not be the best combination that will lead to conversions. So you need to create variations. However, you don’t want to create variations that appear organically and then clutter up your Page with a bunch of nearly identical posts. You’ll instead create Unpublished Posts that will be used as ads but will otherwise appear almost exactly like an organic post would in the News Feed. Select the first ad you created and click the “Duplicate” button. Then rename it so you know that this is for an Unpublished Post — you may want to include details regarding the specific variation. The two things you must complete are the URL and Post Text. The rest will be automatically pulled from the post, but you may want to customize them. Duplicate an ad each time you want to create a new variation. I’d recommend creating three to start. Your Fans, if they are highly relevant, are going to be most likely to buy. But another group you need to focus on will be those who have subscribed to your email list. First of all, you’ll need to upload your email list into Power Editor and create a Custom Audience. If you haven’t done that yet, read this tutorial. You could technically upload multiple lists. This could be good for customizing ads depending on the customer group. Not necessary for this exercise, but potentially very effective! Next, duplicate the prior campaign you created that focuses on Fans. This will generate an identical campaign. You’ll need to rename the campaign so that it’s clear this variation is targeted at your email list. You’ll also need to change the names of the ads accordingly. Enter the name of the Custom Audience you created earlier for your email list. Since you’ve highlighted all three ads, this change will apply across all of those ads. You can even exclude an audience (as shown above), though that’s not necessary for this exercise. There’s no reason to target your Fans since you’re doing this already in the prior campaign. You want to target those on your email list who aren’t already Fans. For the purpose of this exercise, we are creating ads identical to those shown to Fans. But you could use different copy and targeting that is relevant to your email list. For example, if you have a segmented list of those who purchased Widget 1.0 and you are promoting the release of 2.0, you can craft the copy to those who already own the first version accordingly. Now that you have uploaded your email list, you can also target Facebook users who are similar to them with the use of Lookalike Audiences. Click “Audiences” on the left side and find your Custom Audience. Click it. Then click the “Create Similar Audience” button. 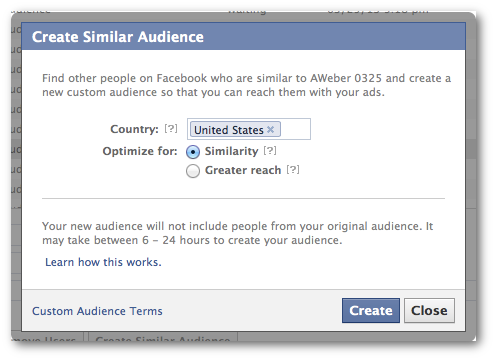 Facebook will find the top 1% (Similarity) or 5% (Greater Reach) of users similar to those on your email list. Pick one country per Lookalike Audience. You can create a bunch of these. I tend to create two Lookalike Audiences for each of my core countries — one for Similarity and one for Greater Reach. Next, duplicate the previous campaign you created that targeted your email list. Again, make sure that you change the names of the campaign and ads so it’s clear this new campaign targets Lookalike Audiences. Assuming you have three ads in this new campaign, select all three and click Duplicate again. The reason for this is that you’ll create three ads for your Lookalike Audiences based on similarity and three based on greater reach. For the ads that are targeted based on similarity, select those three ads and go to the “Advanced” screen within the “Audience” step of ad creation again. Remove the Custom Audience and enter all of the Lookalike Audiences you created based on similarity. Also make sure that you are targeting all of the countries in this ad that are represented in your Lookalike Audiences. This is done within the “Standard” view. Repeat this step for the Lookalike Audiences focused on greater reach. Next you’ll want to target users who like similar Pages or have interests that are similar to your core audience. You do this with the help of Graph Search. For this example, I want to find the cross between people who like my Page and a similar popular Page. You could actually include more than two Pages in this search. 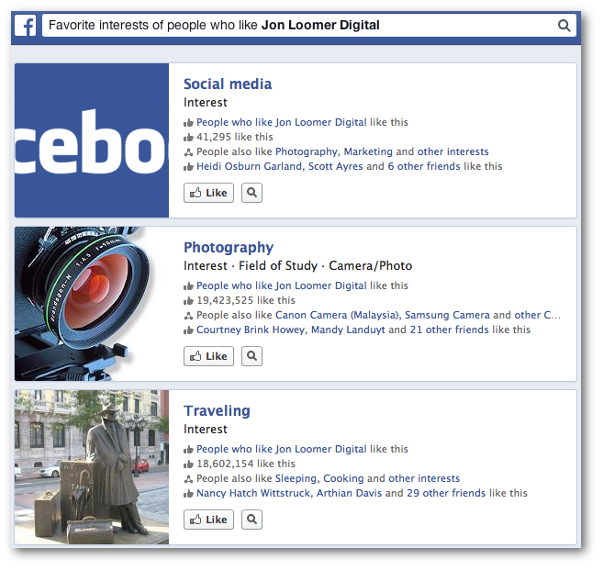 Another search I’ll run is “Favorite interests of people who like Jon Loomer Digital and Mari Smith” (or another similar Page). This will pull up popular interests — not brand Pages — that are relevant to my core audience. Start writing down the results. Make sure you get at least 20 or 30 of them. These will be used in your targeting. Go ahead and duplicate the prior campaign you created that targeted your Fans only. Make sure you adjust Connections so that you only target users who aren’t currently connected to your Page. Select all of the ads in this campaign. Then start entering all of the Pages and interests you uncovered in the Graph Search exercise. For more on how to use Graph Search to learn about your Fans, make sure you read this tutorial. You also may want to create a Saved Target Group to use this list of interests later. It can save you a lot of time! I’m not including this step, but you may also create yet another campaign that mixes and matches the similar Pages and interests you found in this step with your Lookalike Audiences. Find what works! You’ll now want to sit back and see how your ads do. After a few days, check your Facebook ad reports to gain an understanding of not only what campaigns and ads are working, but what placements and demographics are working. This is done with the Edit Columns feature. 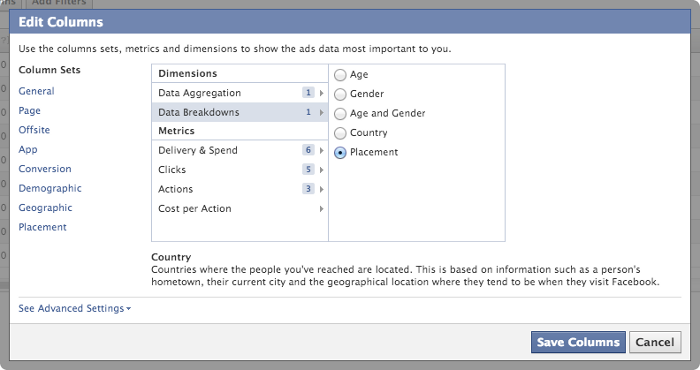 For more on using the new Facebook ad reports to optimize your advertising, make sure to read this tutorial. Once you find what works and what doesn’t, optimize accordingly. For example, if you’ve found that mobile is too expensive per conversion, stop the ad and duplicate it. The new version should have a placement of Desktop Only. I create new ads so that there’s a clean break, making your ads easier to track. Changing ads midstream can add confusion. This may seem out of order, but another type of ad you need to create will exist outside of Power Editor and your Facebook ad reports: FBX. FBX is Facebook retargeting. 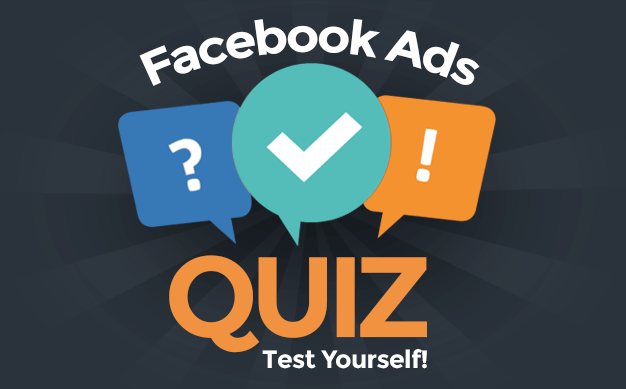 This allows you to target Facebook who have previously visited your site with ads. This is powerful since potential customers who know your brand may not be Fans or email subscribers, but regular visitors of your website. I won’t go into the details of using FBX here, but you need to use an approved third party vendor. I use AdRoll and PerfectAudience because of their low minimums (click the links for tutorials and details about how you can get $60-70 of ads for free to get started!). Making money on Facebook is a science. There are no shortcuts. If you have a relevant Fan base and email list or generate consistent traffic to your website, however, Facebook can be a very profitable place! NOTE: Several of the topics in this post are covered in more detail in FB Marketing Advanced University: Power Editor, a step-by-step training course. Go here to learn more!